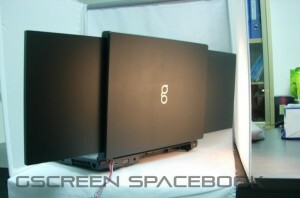 The gScreen Spacebook is the world’s first dual-screened laptop, due this December. Having two screens is especially handy for graphic artists and scientists. You can have a separate program running on each screen. 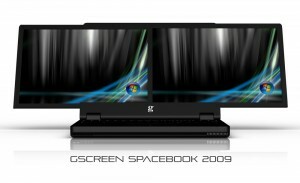 The Spacebook will have Windows Vista or XP Pro, 4 gigabytes of RAM and a 320 gigabyte hard drive. It weighs 8.7 pounds. 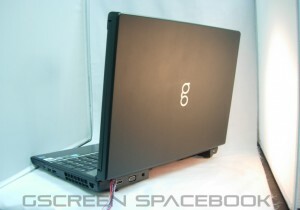 See gScreencorp.com for more info. Thanks to Kenny S for providing this tip.